Paul McGregor's contract has been extended! 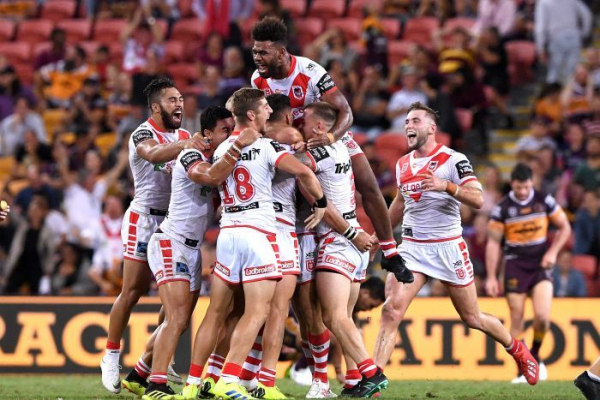 The post Dragons re-sign McGregor appeared first on Zero Tackle. Dragons vs Bulldogs: Round 5 - Sunday 14th April 2019, 4:05pm at Netstrata Jubilee Stadium. The post LIVE: Dragons vs Bulldogs – Round 5, 2019 appeared first on Zero Tackle. No deal. The post Report: Dragons dismiss interest in Trent Merrin appeared first on Zero Tackle. Widdop may still feature in the NRL again this season. The post Dragons confident Widdop hasn’t played last game appeared first on Zero Tackle. The Red V have identified a potential replacement for Jack de Belin. The post Report: Dragons targeting Storm forward appeared first on Zero Tackle. Could we have seen the last of the Englishman? The post Widdop’s Dragons career in doubt after dislocating shoulder again appeared first on Zero Tackle. Broncos vs Dragons: Round 3 - Thursday 28th March 2019, 7:50pm at Suncorp Stadium. The post LIVE: Broncos vs Dragons – Round 3, 2019 appeared first on Zero Tackle. The Broncos take on St George Illawarra in the opening fixture of the NRL's third round. Follow all the live scores, stats and commentary in our live Scorecentre. Could Merrin return to the Dragons this season? The post Trent Merrin interested in Dragons comeback appeared first on Zero Tackle.